02-2012 AMM 2012 - 40th AMM - President's Reception, Harrisburg, PA (l to r) Gene Perrino, Johnie Keeter, Gerry Wentworth, Pete Hill. 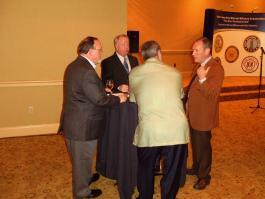 2012 - 40th AMM - President's Reception, Harrisburg, PA (l to r) Gene Perrino, Johnie Keeter, Gerry Wentworth, Pete Hill. 03-2102 AMM 2012 - 40th AMM - President's Reception, Harrisburg, PA (l to r) Johnie Keeter, Gerry Wentworth, Pete Hill, Gene Perrino. 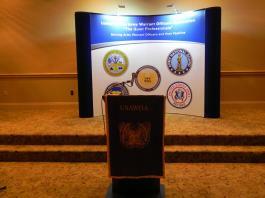 2012 - 40th AMM - President's Reception, Harrisburg, PA (l to r) Johnie Keeter, Gerry Wentworth, Pete Hill, Gene Perrino. 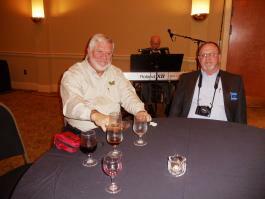 04-2012 AMM 2012 - 40th AMM - President's Reception, Harrisburg, PA. (l to r) Bill Buss, Greg Gouty, unk. 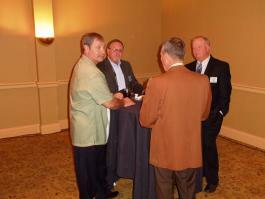 2012 - 40th AMM - President's Reception, Harrisburg, PA. (l to r) Bill Buss, Greg Gouty, unk. 05-2012 AMM 2012 - 40th AMM - President's Reception, Harrisburg, PA (l to r) Steve Seamen, Johnie Keeter. 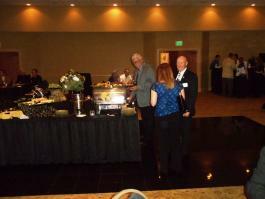 2012 - 40th AMM - President's Reception, Harrisburg, PA (l to r) Steve Seamen, Johnie Keeter.